What sort of an act do you do? 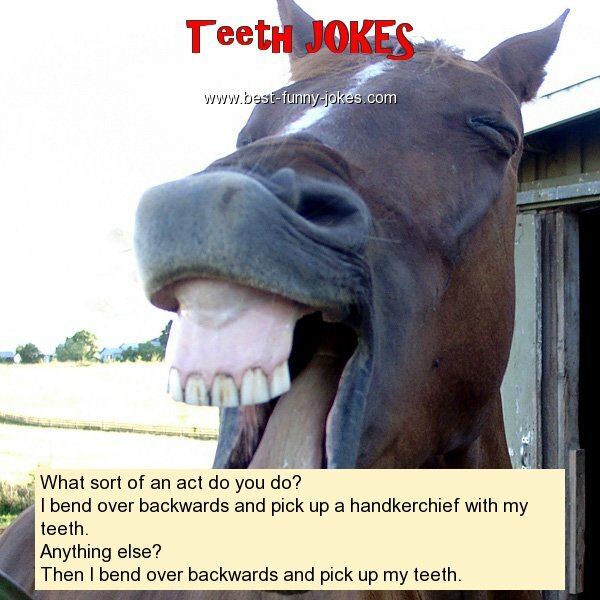 I bend over backwards and pick up a handkerchief with my teeth. Then I bend over backwards and pick up my teeth.